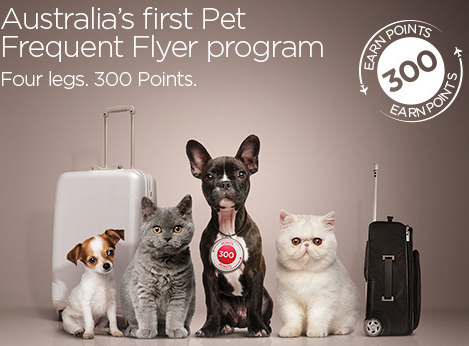 Frequent flyer points for pets? Now, I am an environmental hypocrite, I fly a lot for work but this is going too far. Frequent flyer points for pets! It’s bad enough that you would fly pets around the country, expect of course for blind dogs and the like, but being rewarded or encouraged for doing so? That’s just wrong. Pets don’t need to fly. I love the Virgin brand and fly with them too much, they have done some great things for the environment as well but this Australia’s first has damaged my view of the Virgin brand.